Whether you’re enjoying a relaxing cookout, going for a dip in a secluded lake or just lounging on the front lawn, the last thing you want to deal with is a pesky mosquito ruining your day. While these tiny insects are often more annoying than anything else, if a mosquito happens to land on exposed skin and start sucking your blood, you might be at risk for more than just an itchy patch of skin. Mosquito-borne illnesses often receive a fair amount of media coverage during the spring, summer and fall, and that’s for a good reason. If you’re bit by a mosquito infected with a dangerous virus, you might be at risk for one of several debilitating illnesses. While avoiding areas where these diseases are known to circulate is always the safest way to prevent contracting them, knowing more about these three mosquito-borne illnesses is also an effective way to keep your family and yourself safe. Possibly the most common mosquito-borne illness, West Nile virus was first noticed in humans in the mid-20th century in central Africa. However, the disease spread across the globe over the years and can now be regularly found in many U.S. states. According to the American Mosquito Control Association, there have been 36,437 cases of West Nile virus since it was first discovered in a South Carolinian patient in 2003. However, as 82 percent of infections don’t yield symptoms, the number of people bitten by infected mosquitoes is almost certainly higher by several factors. If you’re unfortunate enough to get bitten by a carrier mosquito, about 20 percent of people will develop symptoms similar to a severe bout of the flu. This includes aches throughout the body, joint pain, vomiting, nausea, diarrhea and headaches. Symptoms might disappear on their own, but without medical treatment, this could take months to happen. Of course, severe cases of West Nile virus can lead to encephalitis or meningitis, which refers to a swelling of the tissues surrounding the brain or of the brain itself. Rarer than West Nile virus but no less dangerous, Eastern equine encephalitis can also cause a swelling of the brain or surrounding tissues. 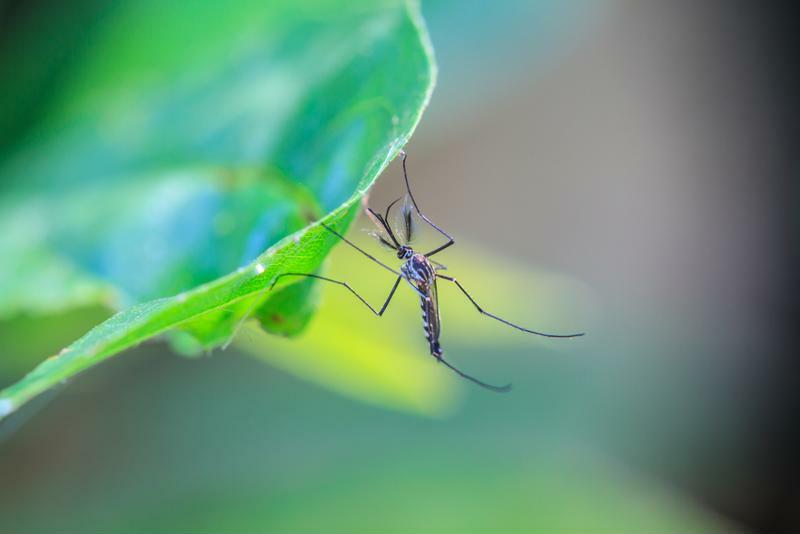 However, unlike the West Nile virus, which is not limited to certain geographic regions, EEE is often found in heavily wooded areas such as the Great Lakes region and humid climates like the states of the Gulf Coast. According to the Centers for Disease Control and Prevention, anywhere from 5 to 10 people contract EEE every year. Much like West Nile virus, severe cases of EEE will resemble the flu, but with sudden onset of symptoms. There is not yet a vaccine or cure for the disease, which means rapid detection and hospitalization is often necessary to give patients the best chance at recovery. Any mosquito could be harboring potentially debilitating viruses. Though researchers have known about the Chikungunya virus for quite some time, it was never found in the U.S. until 2006. However, since then, anywhere from 5 to 65 people contract the debilitating illness every year after travel to Asia, Africa and sites in the Indian Ocean. However, the CDC explained that in 2013, the Chikungunya virus was discovered in mosquitoes native to the Caribbean, and these insects wasted no time in spreading it to other mosquitoes in Florida and Puerto Rico. Characterized by severe joint pain that lasts for several weeks, the Chikungunya virus is one of the fastest spreading mosquito-borne illnesses in the U.S. While cures don’t yet exist for these illnesses, early detection is a key step in preventing long-term injury. If you’ve recently traveled to a location where these mosquito-borne illnesses are prevalent, get a quick examination at your local CareWell urgent care center for nothing other than peace of mind.